Except for a short festival at the Stone in New York, the 100th birthday of jazz pianist Herbie Nichols (born Jan. 3, 1919) came and went with little fanfare. But then, Nichols spent his short life—he died of pneumonia in 1963, just 44 years old—being similarly ignored. The musician and composer formulated a brilliant, highly original conception of bebop piano that ran in parallel to his friend Thelonious Monk’s, and presaged the avant-garde movement perhaps even more than Monk did. Nichols, however, was never able to make a living playing his own music. It was too strange for club owners, let alone lay listeners. He spent most of his career on the Dixieland revival circuit, garnering a cult following after his death. To this day, he remains on the fringes of jazz. Nonetheless, these 10 tracks stand as proof of his genius. Herbie Nichols appears nowhere on this recording; it’s Mary Lou Williams performing solo piano. 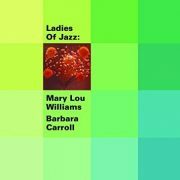 “Mary’s Waltz,” however, was Nichols’ tune, originally titled “The Bebop Waltz,” and the ever-contemporary Williams was impressed enough with the stark composition to record it herself in 1951. Looking past Williams’ interpretation (which is gorgeous, though far from easy), we can hear the piece’s rich melodic and harmonic details, as well as the unique twists and turns (and 35-bar form) the composer uses to connect them. Even in the hands of as esteemed and erudite a player as Williams, though, it’s clear that Nichols’ music is off-kilter to a degree that barely fits within the experimental context of bebop.